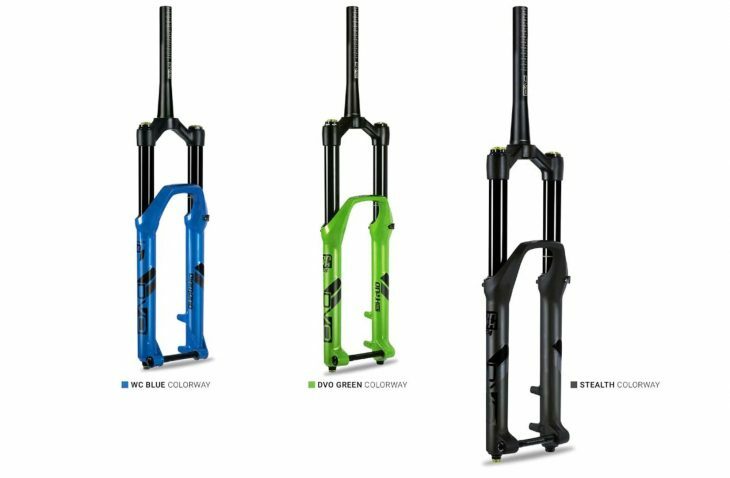 For the 2019 season DVO, a brand made up of ex-Marzocchi employees has created a whole new premium range of suspension forks named D1. D1 forks have already been spotted on top of the range 2019 Giant Bikes and Giant Factory Team race bikes, but now we know they’ll also be available aftermarket. Below is the official Press Release from DVO explaining the new D1 performance of forks, updates to the popular Topaz rear shock and Garnett drop post, plus information about the brands new AVA i.e “Advanced Volume Adjust” system. Remy Metailler in Whistler BC. Remy played a huge roll in the development of the new Onyx DC. D1 is our premium line of suspension forks. Hand built with all the features and performance you’ve grown to expect from DVO. The D1 system is based off the proven diamond damping design featuring a compression bladder and full shim stack controlled dynamic damping. High/ low-speed compression, rebound and externally adjustable OTT features all come standard with the D1 line. This is available on Sapphire 34, Diamond, and Onyx Series. The DVO Sapphire D1 new for 2019. The all-new Sapphire D1 gets upgraded to 34mm stanchions, stiffer chassis, & more progressive air spring. The new Sapphire D1 is bigger and better- simple as that. Our goal was to create a confidence-inspiring trail fork that could provide control and stability in rough conditions. The fork received a complete chassis overhaul that utilizes 34mm stanchions to keep up with today’s demanding riding standards. A slightly modified air spring provides an extremely supple beginning stroke, improved mid-stroke support, and a progressive end for control on the big hits. Combine that with the proven damping features and characteristics of the Diamond, this is the new standard. Read our review of the standard DVO Sapphire here. This is the Onyx SC D1. 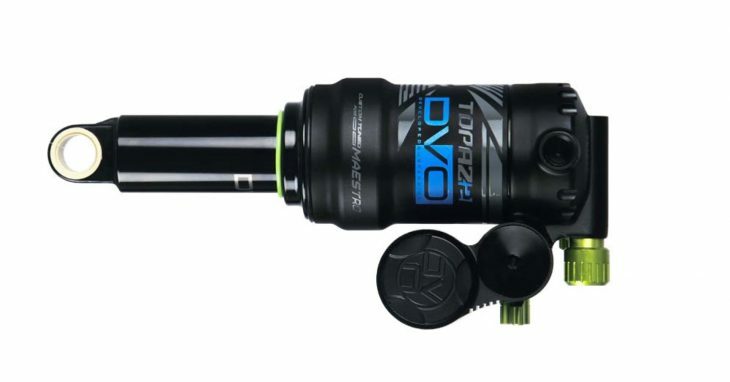 At 180mm of travel, this is our top of the line enduro race fork. The little brother to the Onyx DC, this is the Onyx SC D1. 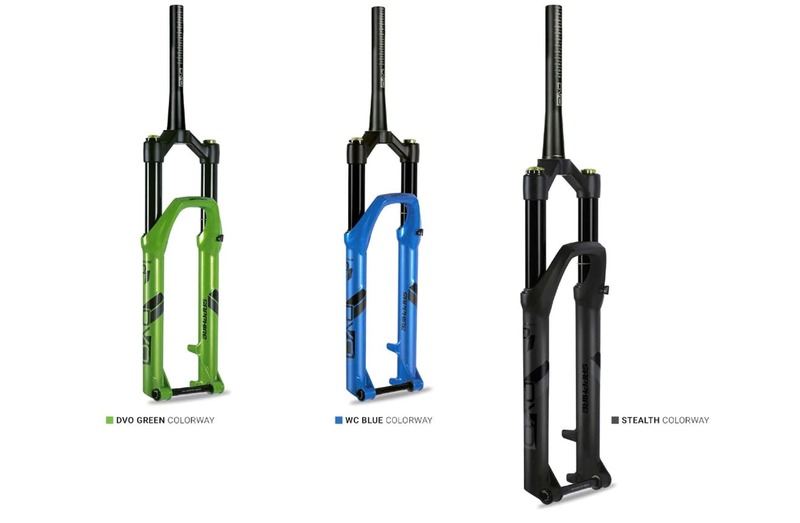 At 180mm of travel, this is our top of the line enduro race fork. Featuring the proven D1 damper, high/ low-speed compression, rebound, and externally adjustable OTT. With 36mm stanchions and our stiffest chassis yet, charge hard into the roughest sections with confidence. The long-awaited Onyx DC D1 is here. 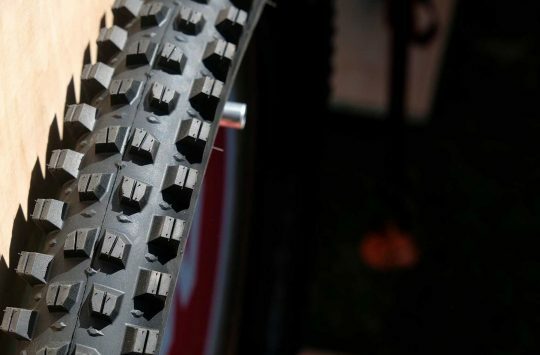 Tested and proven on the world cup circuit with the Giant Factory Off-Road Team. AVA: Advanced volume adjust feature. AVA: Advanced volume adjust is a new feature for us. 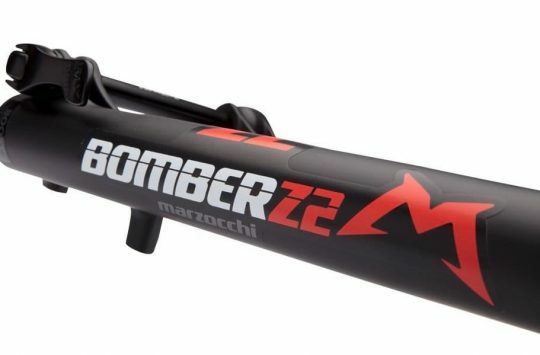 It allows the rider to change the height of the air piston & control end stroke progression. 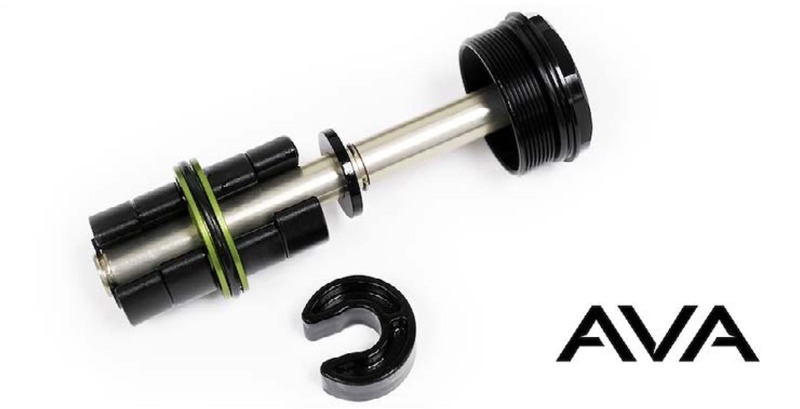 Using a 32mm socket or open end wrench, remove the AVA unit from the top of the stanchion, remove or insert the volume clips on either side of the piston. Put a clip on top, the fork becomes more progressive. Put a clip on the bottom to achieve more travel. AVA works together with the OTT (off the top) feature to give you complete control of the air spring. The new 2019 DVO Topaz 2.
design to aid in oil flow. The Topaz 2 is available in metric trunnion sizes as an upgrade to your Giant Bicycle. 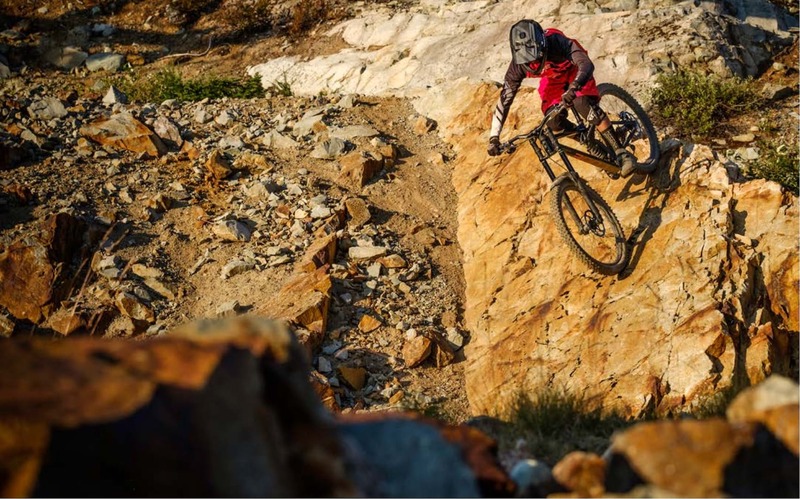 Garnet Dropper gets updates for 2019. The Garnet Dropper has been a very successful post for us. 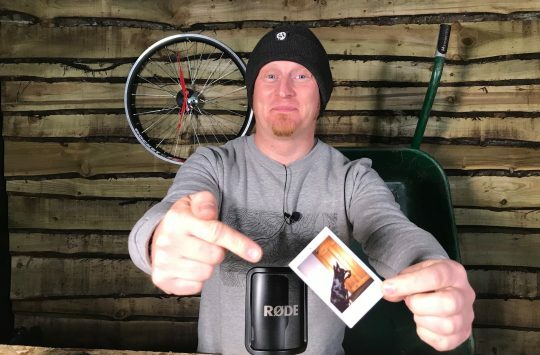 Making sure the durability was at the forefront in design, this is the most reliable dropper on the market. For the updated version, we listened to our customers to create a better overall dropper post. The updated Garnet features reduced weight, a shorter overall length, countersunk seat head bolts, and a low profile easy access air valve. 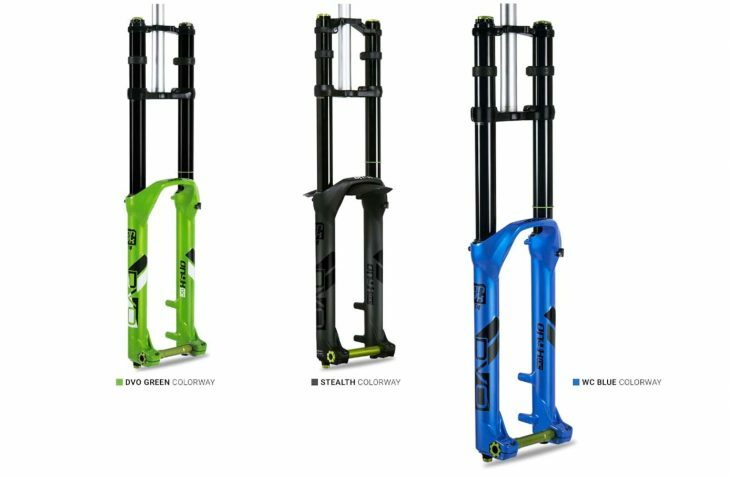 Pricing looks pretty competitive compared to forks from RockShox and Fox, plus in addition to these launches DVO will also offer the Diamond D1 for £849.95 and the more affordable DVO Beryl at £649.95. Do you see a DVO in your life for 2019? Let us know your thoughts on these updates and current DVO forks in the comments section below. That trave/volume adjust using the same spacers is very neat indeed. Does it end up restricting you at the extremes, if you want all the travel and all the progression?